UberCart is an open source ecommerce solution that is completely integrated with Drupal. We can use Drupal to sell shippable and downloadable products. Services such as recurring membership, event tickets, multi-seller stores, discount coupons etc. can also be setup using Ubercart. Ubercart supports multiple languages and currencies. It is an excellent shopping cart functionality platform that can be easily integrated to your website. You can always alter Ubercart features to accommodate any E-commerce requirement. We offer you the best Ubercart solutions for your Ecommerce site.These services include Ubercart customization, Ubercart module development, as well as Ubercart themes development. Quintet consists of an expert Ubercart team of developers who add or alter Ubercart features to accommodate virtually any E-commerce need that you have. We can quickly match your business needs to an existing solution or create a custom solution. Our custom modules are developed strictly using Drupal coding. We provide Ubercart installation on any kind of Operating system and do configurations guaranteeing better performance than the default installations if our customers are not aware about the technical requirements. We also compile custom installations as per the customer requirement. 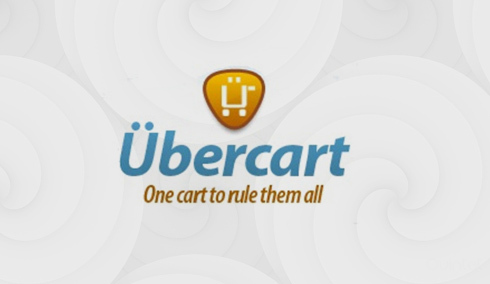 With our vast experience with every versions of Ubercart, we can easily upgrade to minor or major versions without causing any troubles with the dataset or user privileges. You will need some professional advice on the most advanced techniques to be used and you can always approach us without hesitation. Quintet specializes in creating powerful and robust e-shop integrating best of CMS with Ubercart e-commerce module. By utilizing Drupal best practices along with a host of user-friendly features, we help our customers in getting an online retail website up and running faster than what is possible with most other platforms. We believe in automating the system and reducing the repetition of same task to resolve your workload woes, and also ensure that your customers can edit their orders till the last step involving payment. This exciting feature makes Drupal and Ubercart a wonderful combination to build powerful and robust e-shop. In addition, we ensure that the system does post the completion status back to your store thereby removing the pain of manually synchronizing your records. We follow best practices when implementing routine features in modules. To make the code more manageable, modules should be split so that functions all pertaining to a certain system reside in their own include file.We also develop modules and use stand alone form pages to add or edit something. Ubercart has been one of the best ecommerce solutions. We recommend it for its easy integration with the Drupal CMS. Ubercart allows you to have both a content-rich website with product reviews and comments and a shopping cart in the same system. Other shopping carts work well for shopping and managing products, but come up short in terms of content management. We’ve built custom shopping carts, as well as implemented several different open source shopping carts, including Zen Cart, OS Commerce, and VirtueMart with Joomla. We’ve also built SOAP servers to allow manufacturers to take orders from distributors.We have integrated payment gateways for several of these systems, and imported products and images from other content management systems and existing online stores. Shopify is the one of the world's preferred Ecommerce Platforms. Quintet helps you integrate shopify which will give you a lot of features and benefits that shopify has to offer like - theming, customizing, reliability etc. Get rid of server outage issues by hosting your online shop on Shopify.